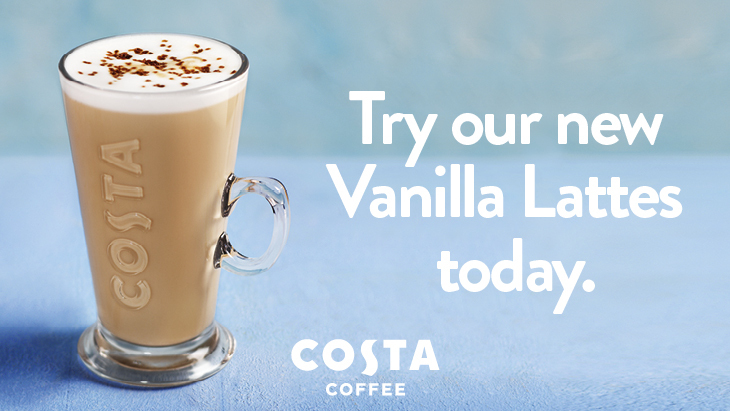 Costa in Manchester Airport's Terminal 3 has something for everyone: a warm, welcoming atmosphere; a great range of authentic coffees, teas and hot chocolate; and a range of ice cold drinks for the summer months. For a limited time at Costa Coffee you can get a pastry for £1 when you buy a Medio or Massimo hot drink or Flat White before 11am. Your perfect breakfast on the go! But if you need something a little more filling you can get a bacon roll or egg muffin for only £2 when you buy a Medio or Massimo hot drink or Flat White before 11am!